This howto is based in Debian 5.0. The first step to install joomla without issues, is install dependencies. For maintain our mysql database we’ll use chive. A Boeing 747-400 passenger jet can hold 416 passengers. This blog was viewed about 4,500 times in 2010. That’s about 11 full 747s. In 2010, there were 4 new posts, growing the total archive of this blog to 10 posts. There were 3 pictures uploaded, taking up a total of 141kb. The busiest day of the year was November 11th with 67 views. The most popular post that day was Asterisk & OSSEC Part.II. The top referring sites in 2010 were url4.eu, yandex.ru, google.com, en.wordpress.com, and google.de. Some visitors came searching, mostly for ossec asterisk, asterisk cdr mysql, asterisk cdr, ossim netflow, and sipvicious error:takeasip:socket error: timed out. In this post I´m going to configure Asterisk iax2 extensions in realtime mode. In this way we don’t have to reload our Asterisk when We have to do any change in our extensions configuration. After this, we have to reload Asterisk to apply the changes. 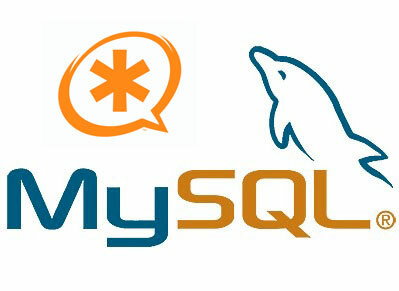 We can create users trough MySQL CLI (tricky) or doing it with MySQL graphical tools (the best option). It’s not necessary to post a example about create user with MySQL GUI because is very easy to manage tables and add new users. `md5secret`, `dbsecret`, `notransfer`, `inkeys`, `outkey`, `auth`,`accountcode`, `amaflags`, `defaultip`,`language`, `mailbox`, `deny`, `permit` `ipaddr`, `port`, `regseconds`. In the next Asterisk articles, I´ll post about SIP realtime, voicemail realtime and Microsoft Exchange calendar integration. In this post I’m going to explain how to define rules, decoders and active response in OSSEC server to prevent attacks in our Asterisk. 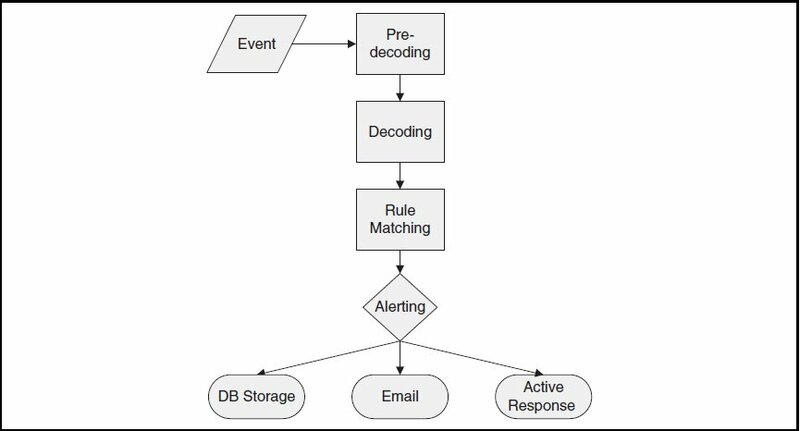 This is a schema of how OSSEC handles every events received. Firstly I’m going to config decoders. Default, there are some decoders of Asterisk for SIP protocol and I’ve added decoders for IAX protocol. At this moment I’m working to add more decoders for SIP, IAX, etc. Now we are going to define active response to protect our Asterisk. We have defined an active response against extension enumeration attacks. When OSSEC detect this attack it’ll send to Asterisk a firewall-drop.sh script (iptables rule). You can see different active responses in /var/ossec/active-response/bin/ directory. We’ve already configured our system and now We are going to test it. 2.- We’ve discovered one server with SIP port opened. Now We are going to search extensions available. If We configure our Asterisk with this tutorial, this is the result of extensions scan. If you have any questions or need help, post here. In previous post I was talking about Ossim and Netflow integration. In the next posts I am going to explain how to configure OSSEC module with different services. The first “integration” that I am going to describe is how to protect Asterisk with this applications. choose the option “add an agent” and enter the client IP and ID and quit (Q). Choose agent option and type ossec server IP. Select option “I” to import agent key of the Ossec Server. To obtain this key you need to execute in Ossec Server the command “./manage_agent” and select option “E”. When you have the key you only have to copy this key in the agent client. In Part.2 I’will explain how to configure the ossec asterisk module. I have started to use OSSIM, to monitor network issues and security. My first steps with OSSIM have been with Netflow module (nfsen). This is a mini Howto, to configure Nfsen in OSSIM server, to monitor Cisco Routers. Now, I have started to configure OSSEC and Snort modules. When I have a good results I will post another howto with this modules. Connected to asterisk@localhost, port 3306 using table cdr for 1 minutes, 28 seconds. Wrote 0 records since last restart.